In June of 1954, a musical genius was born in Stoke Newington, London, England. 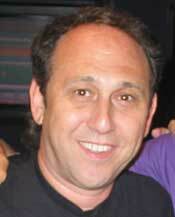 This man is known to his family and friends and now to many upcoming and national bands as David Bendeth. When David was 11 his family moved to Toronto, Canada. David now lives on the U.S. east coast with his family. David said that his children, a boy and a girl, are also very musical people. When asked about his life of living in many different parts of the globe Bendeth had a very simple solution for the equation. "I am a British subject, Canadian citizen and a USA green card." said Bendeth. Growing up, Bendeth said that he always had a love for music. David also, just like many other little boys growing up in a time where video games and computers were in the far off future, loved toy trains. Traveling and football (which is known in many other countries as soccer) and ice hockey were also very high on his list off pleasurable things. So it's no wonder that David, as a Canadian, would have a few words of encouragement for his favorite team. "Go Leafs go!" said Bendeth. 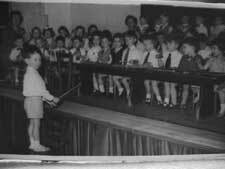 David knew since he was a very young lad, that music would play a big role in his life. "I knew when I was three in nursery school and the teacher asked me what I wanted to play, I said I did not want to play, I needed to conduct the whole band," said Bendeth. "She put me in a high chair and the rest is history." Bendeth has now worked full time in the music business for 17 years. He currently can be found grinding out hits at House of Loud studios in New Jersey or at Type A Records in Manhattan working on his next new band to hit it big. Some bands that David can add to his ever growing list of hit makers include national acts such as Breaking Benjamin, The Red Jumpsuit Apparatus, and Hawthorne Heights to name just a few. Being on the east coast, David sees and hears many different genres of music. He said that the east and west coasts both bring out the hits you hear playing on the radio. When comparing the two, Bendeth said that the east is louder and more aggressive whereas the west tends to be a little more adventurous and a little more British. When going into the studio, Bendeth tries to find what strengths a band holds both mentally and physically. "I then work them to death until they learn how to play and write like monsters," said Bendeth. "After that, give them the confidence they need to be whatever they want to be." Bendeth said that sometimes it is hard to get the younger bands to open up to his suggestions at first, but all in all he always seems to learn more from them in the end. David has many different tastes in music. When asked who his favorites are, he replied, "I love the Police." Others include U2, Jeff Beck and a lot of jazz/fusion. David said that a huge piece of advice that he can offer to musicians trying to break into the limelight of fame is practice, practice, practice. Some other things to add to that list he said, would be to learn to play with a click, hone your melodies and remember, just because you write a song, that doesn't mean it's finished...just written. Also touring, touring and more touring. That is the only way for you to find out who your audience is. Bendeth does have a my space page where many bands come to him to get "discovered." Although that is a huge convenience for bands from all over, he would like them to contact his manager Bennett Kauffman first. Bendeth tries to make himself very available, but time is a valuable thing. Bendeth can be reached at david@typearecords.com.